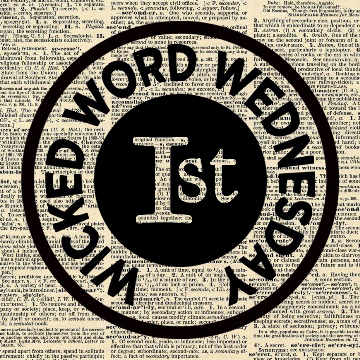 Once again it’s time to crown Wicked Word Wednesday Winner. In Third Place . . .
My furnace I wish to employ! Time to release the heat! In Second Place . . .
And in First Place . . . It really is very absurd! Congratulations winners, and don’t forget your nifty badges! OMG!!!! I got third place! I am so gonna brag about this! Thank you! Okay, I have a confession, Jay…..I just reblogged this with my lovely, wonderful and oh so jealously inducing badge!!!!! WOOT! Jay, thank you very very much for picking me as the winner! I’m going to reblog it too! Wooo! I’m a winner! Thanks to Jay at runninginmyhead.com for choosing my entry for the Wicked Word Wednesday winner! I’m so thrilled, I never win anything! I can’t wait for my huge glittery trophy to arrive in the post, any day now…..
Pingback: Keep on blogging – an award will come! | Third Time Lucky! Jay, your award brings out an interesting variety of poets and poetry. Great idea! I like all three “Aflame” poems.